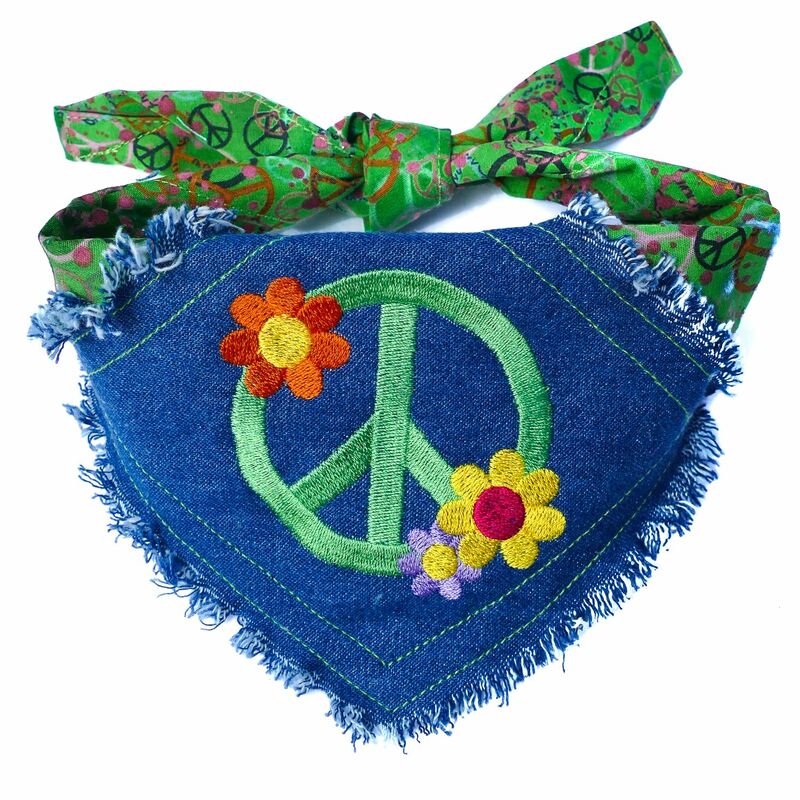 A beautiful, super-special World Peace dog bandana, made and embroidered here in Yorkshire by Dudiedog Bandanas. 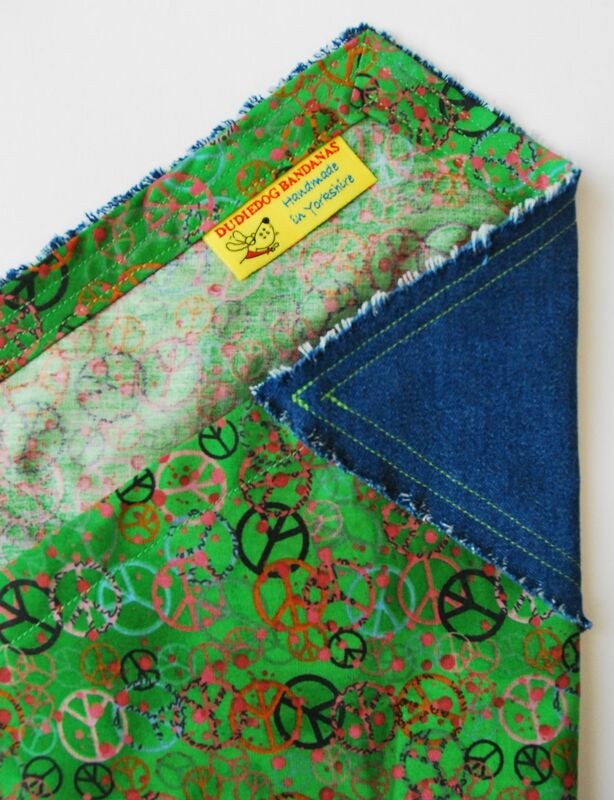 It is made from our Green Peace 100% cotton fabric, with a panel of mid blue denim, frayed all around and embroidered with the universal symbol for peace and love, with added flowers. 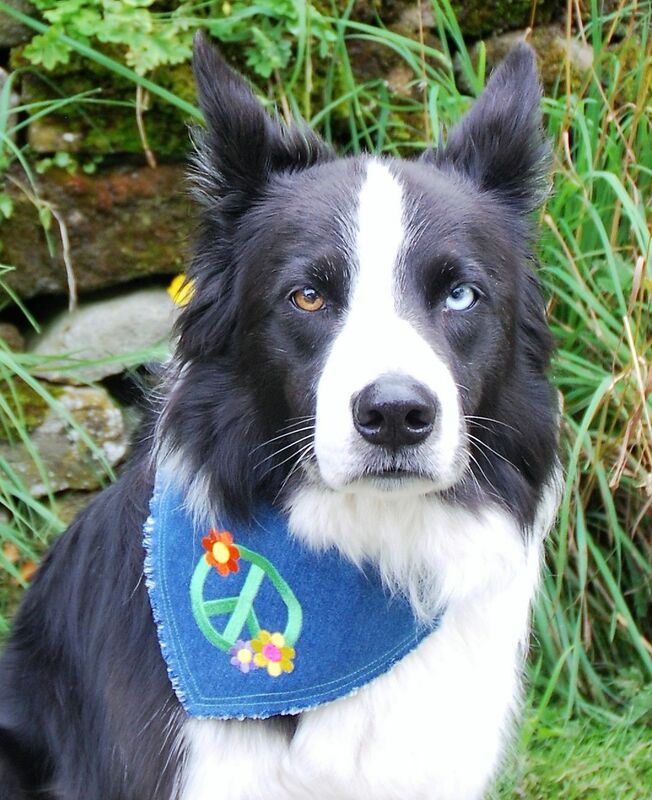 This is such a cool look for your favourite eco warrier dog, and will certainly make him/her stand out in the crowd. It's perfect for festivals, holidays or any occasion.